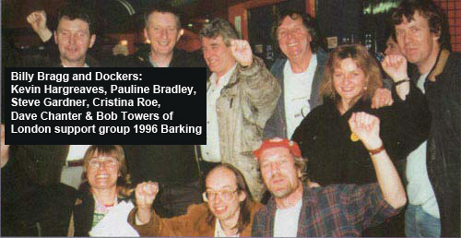 1997-1999 – Pauline was active in the London Support Group for the Liverpool Dockers and Women of the Waterfront. 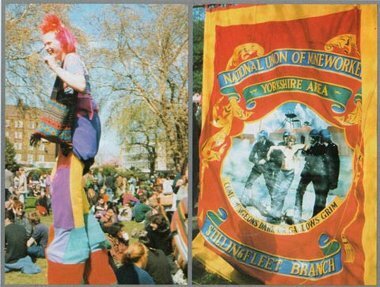 A pamphlet called “Another World Is Possible – How the Liverpool Dockers Launched a Global Movement” was written by sacked Dockers Tony Nelson, Mickey Tighe and Nick Silvano, plus John Pilger and from the London Support Group for the Liverpool Dockers: Alan Woodward, John Davies, Bronwen Handyside, Liz Knight, Chris Knight and Pauline Bradley. Pauline Bradley and Professor Chris Knight edited the pamphlet. Another world is possible is available for free download as a pdf file. Tony Benn, former Labour MP and Energy Minister who left Parliament so he could spend more time on politics; is deservedly loved and revered in the labour movement. 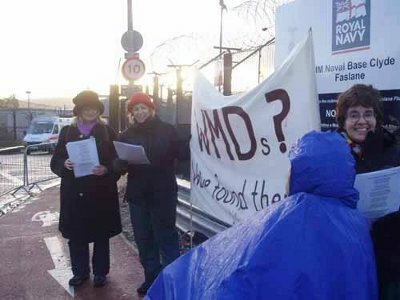 He spoke regularly at Liverpool Dockers rallies and meetings during the 1995-97 dispute. He also speaks at the Tolpuddle Martyrs festival every year where he goes (as many of us do) to re charge his batteries. 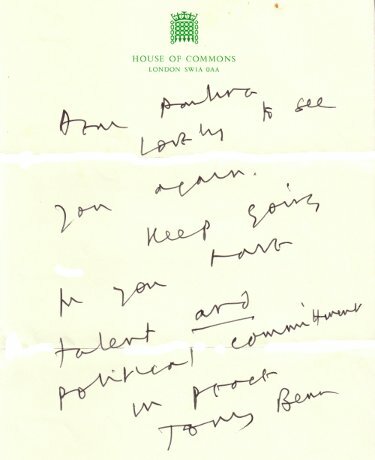 In 1991 I had recorded a tape called “Don’t Give Up the Fight for Freedom.” In 1993, I attended the annual Chesterfield conference in Tony Benn’s then constituency and gave him the tape. He was very interested in it and in me as a singer/songwriter. 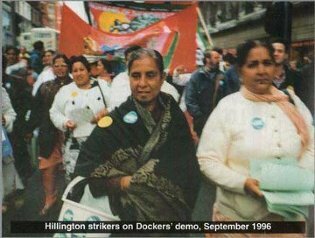 Later that year he and I simultaneously attended a rally in Tottenham in support of Women Against Pit Closures. I asked Tony if he’s listened to my tape, he said he had done, that it was really beautiful and that I must send him my name and address. I did as he asked and later received this statement from him on headed House of Commons paper. I was surprised and happy to say the least! 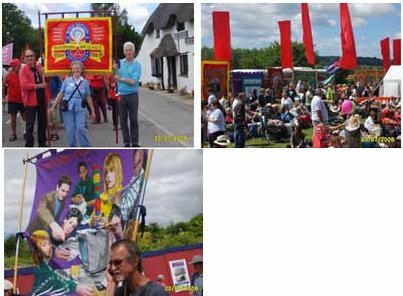 As well as the music and songs on Paulines "No Borders,No Barriers" album and her "Don’t Give Up the Fight for Freedom" recording, various clips of Pauline singing can be found on YouTube, including a cover of Sandra Kerrs "No Going Back"
Singing at North gate, Faslane where Trident WMD are based and Images from Tolpuddle Martyrs Festival, Dorset. Acting strange theatre company's Facebook page their blogspot pages and their twitter pages.